Through the use of AI, your ogranisation can offer a more personalised service to your customers. Scaremongering articles about artificial intelligence (AI) are easy to find, generating fear about job-losses in many sectors, particularly in customer-service. The reality however, may be more exciting than frightening, with the technology freeing customer-service agents from drudgery and boosting the role they play in the consumer journey. There certainly is no alternative to AI-adoption unless as a business you are happy to lose out to competitors. Today’s consumers are more demanding than ever and they will head elsewhere if you cannot give them fast responses and quick, effective solutions to their problems. So it is important to be on top of what is fast becoming an essential technology. Recent advances in AI and natural language processing, combined with the huge popularity of messaging apps such as Facebook Messenger and WhatsApp, have resulted in the ‘chatbot’ revolution allowing customers to do everything from order a pizza to check flight times. Many brands use them as a simple way to engage with customers, especially those seeking support or more information. For example, H&M’s Kik app recommends outfits to shoppers based on the style of clothes they prefer - the bot learns this information by asking the customer a series of questions. Most chatbots are currently quite limited, but they can answer commonly-asked questions and deal with minor support issues, freeing customer-service teams to handle more complex problems. If your business is planning to implement chatbots, you should first identify your customer-service team’s biggest pain points, such as the questions asked most frequently. Dealing with these tasks is what a chatbot or virtual assistant can do very effectively, liberating staff from dull or repetitive work, resulting in better retention rates. Your customers, meanwhile, will be getting a faster, round-the-clock service, increasing the chances of their doing business with you again. The ability of AI to analyse a vast amount of data means it can pinpoint where improvements need to be made in, for example, the operations of a call centre. Its predictive capabilities mean it can head off potential problems before they develop, learning to detect the ‘distress’ signals and react accordingly. For example, if it appears someone is looking for a piece of information but struggling to find it, an AI solution can prompt a FAQ pop-up or a virtual assistant chat window. This type of intervention reduces cart-abandonment for retailers and helps prevent the customer service team from becoming overloaded. And of course, it increases customer satisfaction. 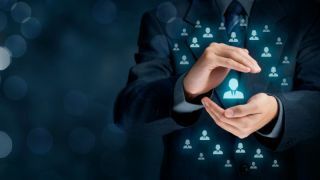 As your business grows, so must your customer service team, but as is widely known, turnover rates in these job roles are high, which costs businesses serious money. A business with 100 call centre workers can expect to spend around £160,000 a year on recruiting and training new employees. The use of chatbots and other virtual assistants will not only reduce this turnover rate by removing tedious tasks from the work of customer-service agents, it will also help a company scale faster for the busiest times of year, such as Black Friday. And when you move into new markets AI can learn a new language much faster than any human. Artificial Intelligence (AI) or, more specifically, Natural Language Processing (NLP) is proving instrumental in helping online shoppers make more informed decisions by distancing us from the emotions of others instead of our own, thereby allowing us to come to our own conclusions based on information that is actually of value. Too often, user generated reviews are clouded by the unwarranted emotions of purchasers who may have had a bad experience with the seller, not the product itself, yet the product receives an unfair assessment. Similarly, the reviewer may not have done their own research on the product, yet has chosen to submit a poor review based on their own erroneous expectations. Underpinned by several AI technologies and syntactical text analysis, the NLP engine makes it entirely possible to recognise entities mentioned within the review and their associated sentiment. Key topics and features discussed in the content can then be surfaced for the consumer’s convenience with positive and negative elements easily identified. The engine can also identify the magnitude and polarity of sentiment at a sentence level which allows key “snippets” to be surfaced from the review, allowing the consumer to view the most significant statements reviewers have made. This enables those browsing the reviews to quickly select the sentiments that will influence their decision. To combat high volumes of confusing and contradictory reviews, AI can simply offer a range of sentiments to choose from. Take the consumer reading reviews for a new shirt – sentiment filters such as fit, comfort and material quality can be applied to generate a selection of reviews that address these aspects. NLP capabilities are gradually becoming more widely available for non-English languages. There is a way to go in terms of being able to accurately define sentiment in colloquial, conversational language, which of course will vary across different languages. Then comes the task of tackling sarcastic comments, one of the most complex forms of expressed human emotion that can be taken to be meaningful by the confiding consumer. Personalisation is key to winning custom now. With just one click, a consumer can leave your website and head straight to a competitor’s. What will keep consumers interested and lead to greater revenues and greater loyalty, is not creepy familiarity but being treated as individuals, rather than just numbers on a sales sheet. Almost every business is personalising its communications, but with the machine-learning capacity of AI, you can take personalised content to the next level. Everything from tailored product recommendations, to a real-time website redesign based on the user’s browsing habits can be achieved. It all depends on how much you choose to invest in the technology, and how much customer data you collect. With personalisation of this sophistication, consumers find what they are looking for far more quickly, without the need to get in touch with a human. Moreover, a virtual assistant that can remember and learn from previous conversations with a customer and knows exactly how to respond and resolve any difficulties or queries. The difference with customer-service employees is that they are helping hundreds of customers a day and cannot retain this kind of information. There is no reason to fear AI, but neither is there any choice. If your business doesn’t utilise the technology, your competitors will. Chatbots and virtual assistants may be limited now, but they’re constantly evolving, and the potential impact they could have on your customer service team is staggering. Experts are all in agreement: AI is here to stay.